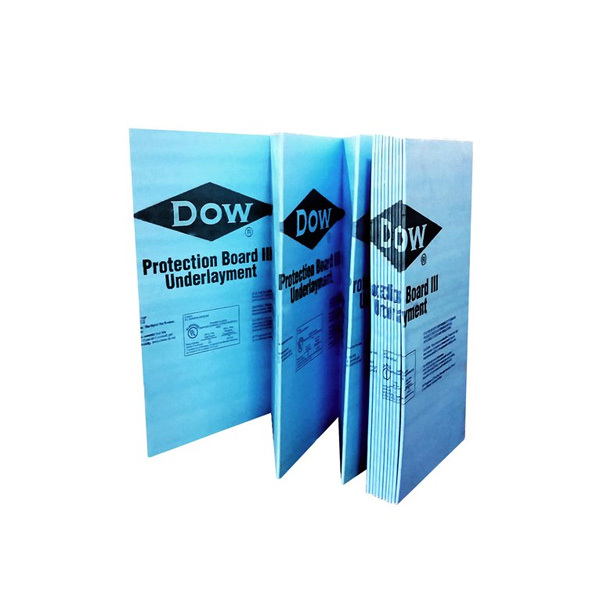 DOW™ Protection Board III is an extruded polystyrene foam insulation with plastic film on one side. Designed for use in commercial foundation waterproofing applications, DOW Protection Board III helps protect the waterproofing membrane from damage during backfill. It is recommended for perimeter concrete and masonry walls where waterproofing protection is the primary requirement.